Purchase your tickets right here on our website, via Trybooking or on our Facebook page The Richies. How can I make sure i'm seated with my mates? Join a 'row' already set up by a friend, or set up your own 'row' & invite your mates to join you. How do I set up my own row? Click the 'Get Tickets' button, choose group (not individual), start a new group and name your group. Then invite friends (via email or Facebook) to join your group or row. All Richies in the same group (row) will be sat together. Absolutely! 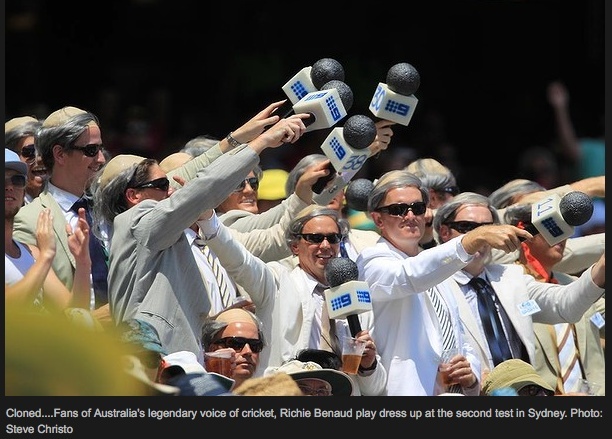 Being a Richie is a commitment to uphold the good character & fine dress standards of the great man himself. You’ll also have to wear a shirt, tie, pants, wig and of course… your Microphone! If you want to wear a singlet & strap a watermelon to your head go for it. We’ll be in the bay next door high-fiving every time Warner hits a six. Where do I find a jacket? We recommend Vinnies, the Salvo’s & other op shops. Grandpas closet can also be a goldmine for such gems. Wherever you can basically... One industrious Richie even got one tailored on a recent trip to Vietnam. Does my suit have to match? No. It would be great if they all did, but you're fine to mix your bone jacket & off-white pants for your own Richie stylings. But please abide by the dress code. Is The Richies only for men? 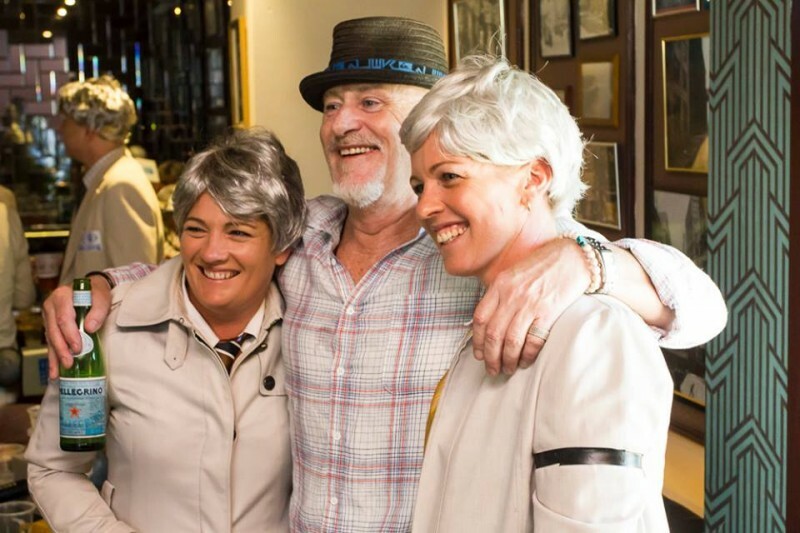 No, we've had lots of great female cricket fans join our ranks... but you've got to be prepared to wear a wig, shirt & tie, and suit (no skirts, shorts etc), and of course uphold the high standards of Richie Benaud. Because it’s Richie Day! Day 2 is often the best the best day of cricket as you usually get to see both teams in action bowling & batting. 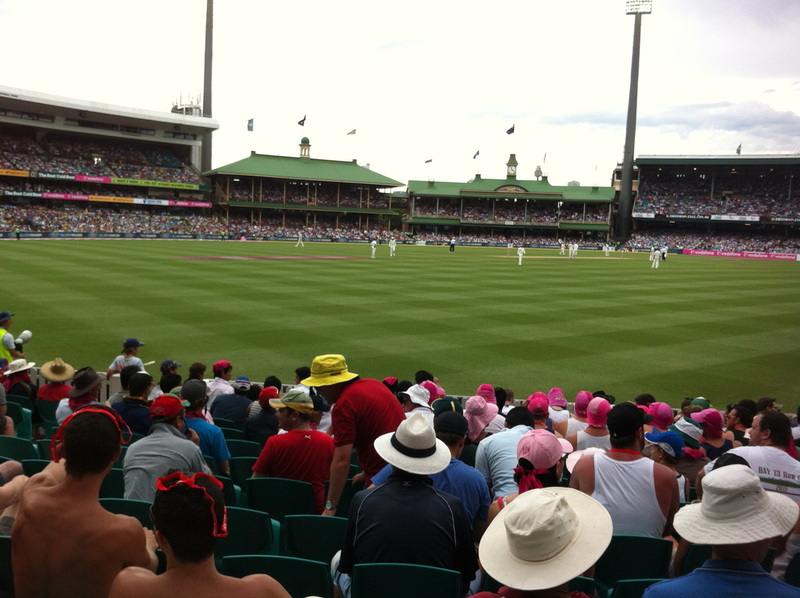 We like to cheer on all good cricket (from the Australians & visiting teams) so Day 2 is prefect. No jacket, no ticket! Strict dress regs aply! No anti social behaviour. 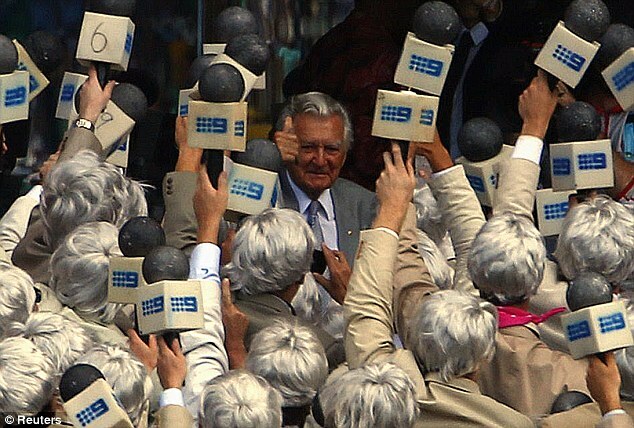 Honour Richie Benaud, enjoy the cricket, & have a great day. In the event of rain or postponement you will only be entitled to a partial refund (up to 20-50%) if CA refunds due to limited play. 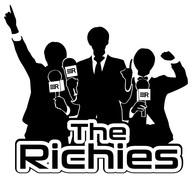 Below is some recent media (2010, 2011 & 2012) for the Richies. Day 2 of the SCG test match is Richie day. Join us & turn the SCG cream for a day.